New Delhi: The Lok Sabha, despite opposition from Left parties on select provisions, approved the anti-terror Unlawful Activities (Prevention) Amendment (UAPA) Bill—which analysts say is similar to the Prevention of Terrorism Act (Pota), repealed after the Congress party-led United Progressive Alliance (UPA) assumed power. With this the UPA has sought to regain the political space conceded to the main opposition Bharatiya Janata Party after terror attacks on 12 cities in seven months. After replacing home minister Shivraj Patil, UPA has in the fortnight after the Mumbai terror attack followed through with a revamp of the anti-terror apparatus, including the enactment of new laws. PRS Legislative Research, a New Delhi-based independent research initiative—after analysing key provisions of Pota and UAPA—has found that both Acts are similar except that under Pota, confession before a police officer was admissible as evidence, subject to some safeguards. Arguing similarly, lawyer Romy Chacko said: “This is old wine in (a) new bottle." Earlier, intervening in the debate, leader of the Opposition L. K. Advani argued that the Congress had introduced a strong anti-terror law similar to what his government had in place. “I want you to accept that you were wrong and it was a mistake," he said. But home minister P. Chidambaram and science minister Kapil Sibal, both lawyers, denied this claim. “It is different in every respect. However, there are three major differences. One, there is no confession provision in UAPA, unlike Pota, in which confession to a police officer was admissible. Two, the bail provision is different; in Pota, the judge could grant bail to the accused only if he was convinced that the accused is not guilty. However, in UAPA, the judge can’t grant bail if he finds prima facie evidence against the accused. 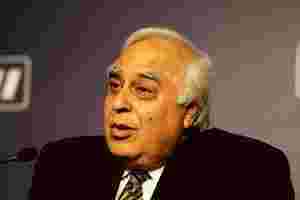 Three, under UAPA, unlike Pota, the number of detention days before a chargesheet is filed cannot be extended unless the prosecution satisfies the court that it was not possible to complete the investigation process," said Sibal.